I started having an interest in cooking. My Ah Mah likes to watch Korean Cooking Shows in Channel 601 HyppTV. I would always join her because I enjoy watching that particular channel too. I personally like to eat spaghetti. 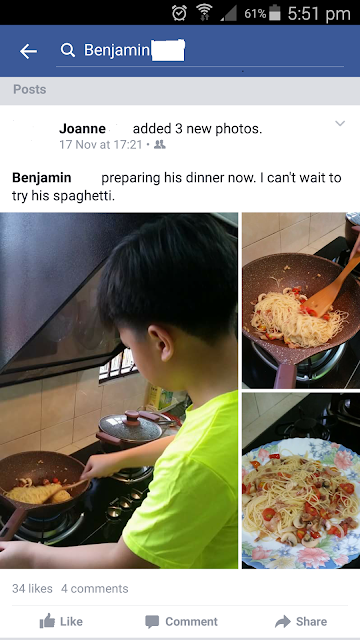 I attempted to cook spaghetti one evening, and it turned out well.